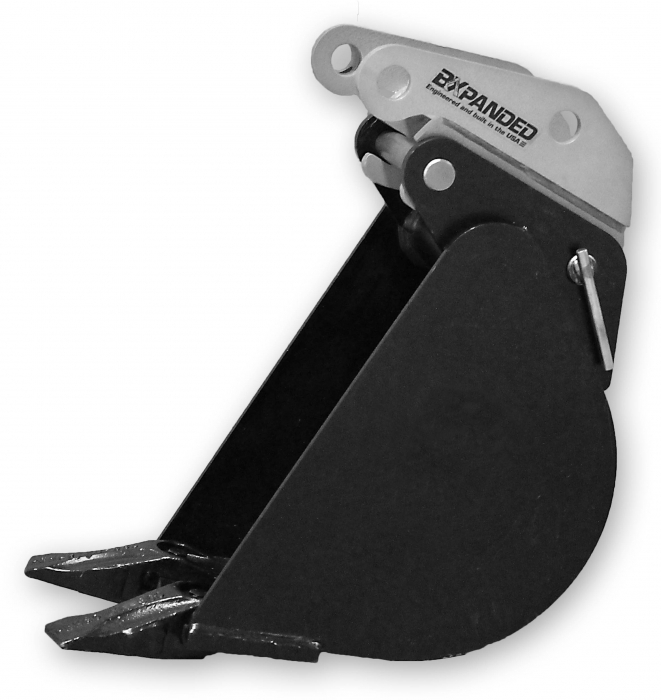 The BXpanded Quick-On Bucket Connector is designed for quick changes of buckets and back hoe attachments. 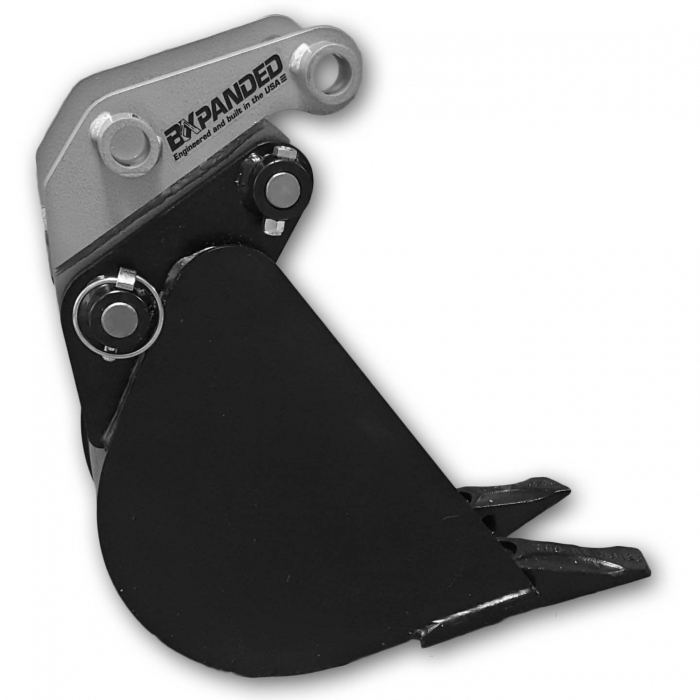 The Quick-On Connector accommodates the standard John Deere buckets as well as other BXpanded attachments such as the Talon Ripper, the Trenching Bucket and the BH Mounted Hitch Style Receiver. 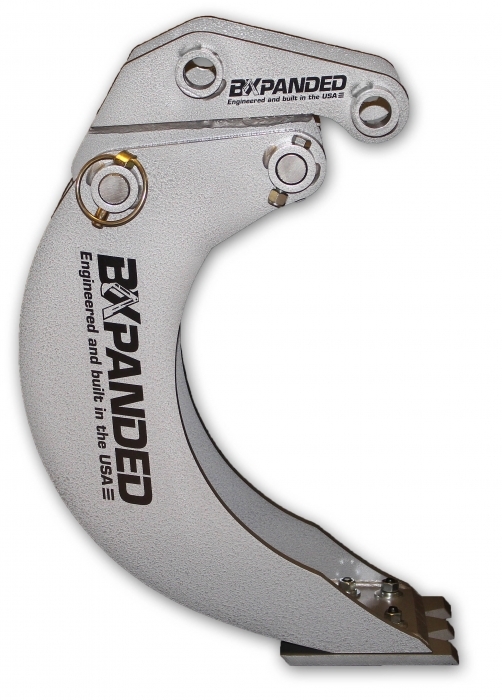 The connector allows the attachment to be removed or installed in seconds with no tools. The BHCJD260 works with the John Deere 260, 260B, 270A and 270B back hoes. The Quick-On Connector attaches to the back hoe with the original pins. One of the supplied pins is installed permanently in each attachment or bucket. One permanent pin is required for each attachment. The Connector is supplied with a pin for the original bucket and 1 extra pin for another attachment. Extra pins are available for more attachments. Pricey little guy, but well worth it. Couldn't get my JD bucket to fit at first, but it was because I was an idiot and put it on backwards. In my defense, I saw a Youtube video of one installed on a Kubota backhoe and just imitated that guy - which was of course WRONG. This thing goes on a JD in the opposite direction than for Kubota. Once I fixed that, it was perfect.